The middle school girls clustered up on the starting line in their matching purple T-shirts. They had been practicing for weeks, running around and around the block. When the 5K began, the girls took off, but this was no normal race. No one surged ahead, and when someone fell behind, or a girl stopped to tie her shoe, the whole group waited for them to catch up. They shouted encouragement at each other and pushed one another to keep going. No one intended to win. The goal was to finish together, as a group. Health is more than eating well, exercising, or regularly seeing a doctor. Several factors determine our ability to live, learn, work, and play. Overall, well-being greatly increases when people are thriving across all five factors. 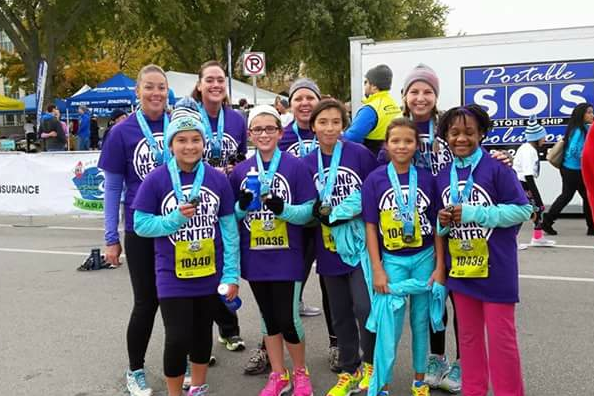 At an age when young teens can become engulfed in gossip, backstabbing, and peer pressure, the Hit the Ground Running 5K at the Young Women’s Resource Center (YWRC) showed these middle school girls that their bodies were a source not of fear or judgement, but of power and fitness. And that their peers were a source of strength. Jessenia Burton, a 15-year-old freshman, started attending Empowerment Groups—funded by United Way of Central Iowa’s health priority—at the YWRC in fifth grade. As the girls age through middle school and into high school, the facilitators focus on many different topics: self-esteem, positive body image, resiliency, healthy friendships, self-care, feminism, and reproductive health. Although she liked the lessons the YWRC taught, one of Jessenia’s mothers, Tracy, didn’t want her to attend at first. She felt it was the parents’ responsibility to instill these values in their daughter. And instill them they did. The Burton family makes kindness and love a priority. They are United Way donors, and they volunteer at a local homeless shelter, even creating hand-crafted care packages for residents. Jessenia’s mothers are quick to reach into their wallets when they see someone in need, or to buy a meal for someone on the street. They have opened their home to extended family members, children Jessenia now calls her siblings. Every week, the family gathers around the table to talk about what’s going right or wrong in their lives and how they can help each other out. 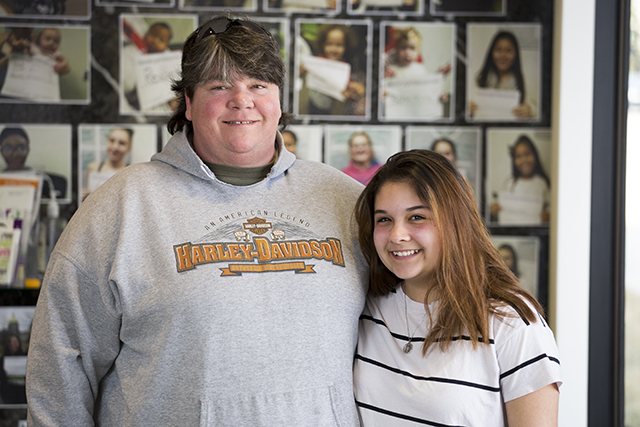 It was this support system more than anything that made Tracy think Jessenia didn’t need the Young Women’s Resource Center. But Jessenia’s mother Nancy was determined she try it. And Tracy quickly realized how beneficial it could be for an adolescent to have another safe space to share her feelings and problems. “What she doesn’t feel comfortable coming to us about, she can talk about there,” says Tracy. Jessenia appreciates her family’s commitment to communication, but she knows the YWRC—with the magic that comes from a group of young women sharing secrets—can reach another level. The after-school Empowerment groups meet once a week and are divided by age. The YWRC sends out vans to the Des Moines middle and high schools to pick up the girls and drive them to the center on 5th Street downtown. The vans take the girls home afterwards, too, if they need a ride. Each week, they start with a poem or a deep breathing exercise to wash away the stress of the day. Self-care and stress-management are key lessons for the girls as they head into high school. They learn to use meditation, deep breathing, reading, coloring, and writing as techniques to manage stress. Most importantly, they learn to talk out their problems with someone else. Sharing begins with each girl describing the highs and lows of her week: her best and worst moments or her greatest anxieties and the things she is most looking forward to. The most important rule: No judgement. Jessenia is particularly good at both sharing and listening. Because the participants are all young women, the groups also discuss topics like feminism and menstruation. Jessenia has enjoyed learning that, although society views periods as something “disgusting,” they are actually perfectly naturally, something to be celebrated at the YWRC with period parties. The groups also learn about the definition of feminism—that men and real should be treated equally—something that often gets distorted in the media and conversation. “We talk about how women are not treated equally yet and how everybody has power in this world—no matter who you are,” Jessenia says. The confidence that comes from accepting your body and finding own your voice is sorely needed by young women as they enter the treacherous world of high school. 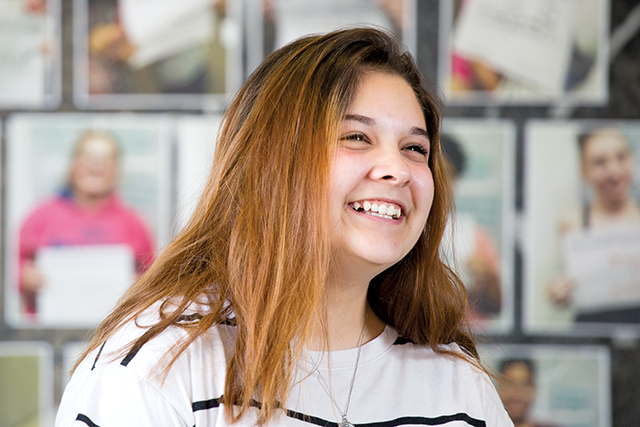 Jessenia, who went from a small middle school to a large Des Moines high school, found the transition pretty overwhelming at first. The challenge of navigating the hallways and strict schedules was combined with the larger struggles of peer pressure, keeping her grades up, and balancing schoolwork with extracurricular activities, family life, and social time. 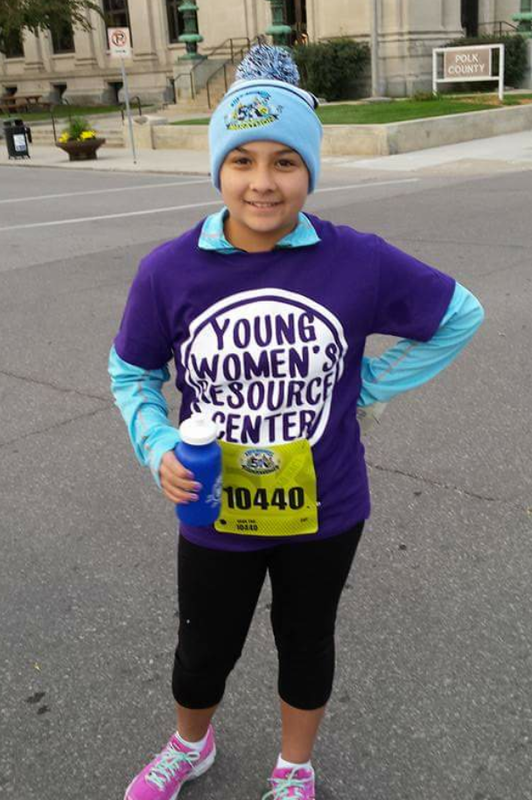 Fortunately, that social time was a huge help, as Jessenia knew, thanks to the YWRC. 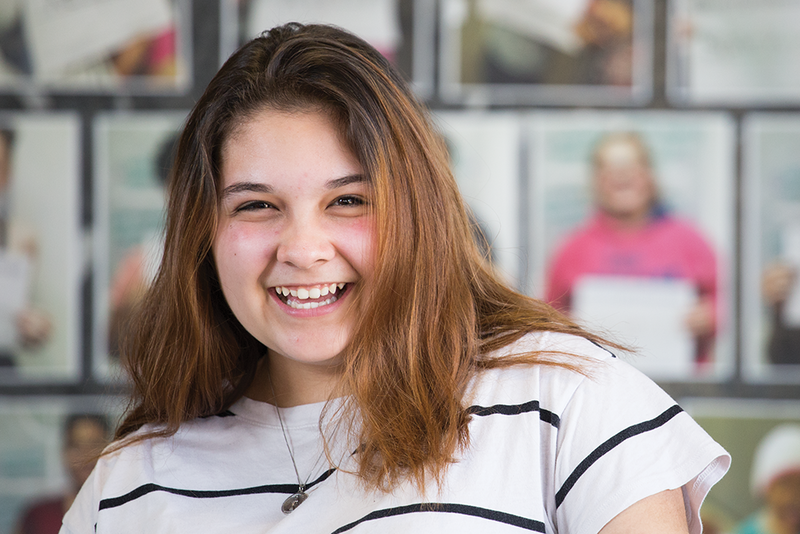 “Making new friends is really important because you want to have people around you that support you,” says Jessenia. United Way of Central Iowa’s Health Goal—to increase the community’s Gallup-Sharecare Index score to 64.5 by the year 2020—incorporates a measure of social well-being, one of five factors that influence health. Social well-being is defined as having supportive relationships and love in your life. United Way’s strategies to improve social health include increasing opportunities for vulnerable populations to reduce social isolation and increasing positive, healthy social interactions and experiences. Because central Iowa’s social well-being score went down in 2017, these strategies are more important than ever, especially for young women during transitional times in their lives. “When you have a positive connection with others, it can help you cope when life gets rough,” says Kahara. The Young Women’s Resource Center is that place for Jessenia and hundreds of other young central Iowans. She says that the bonds she has made at the Center have helped her adjust to high school much more quickly and easily. 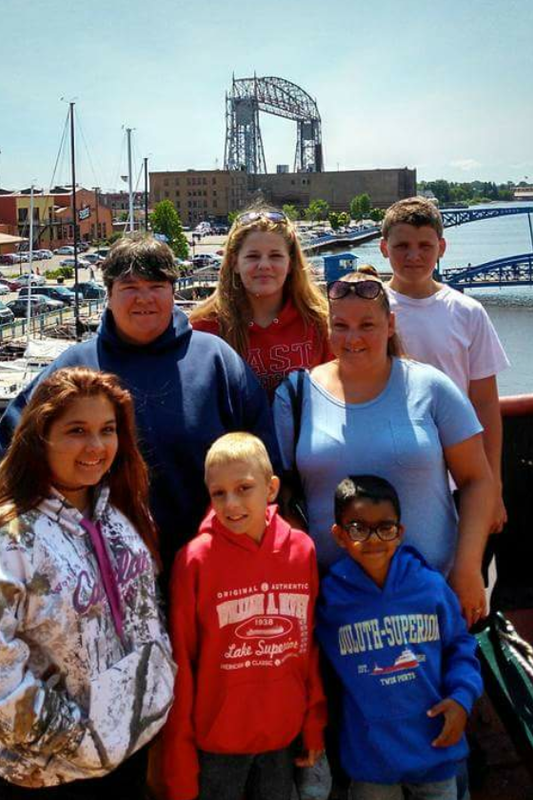 Jessenia’s mom Tracy says that the YWRC has helped her grow as a person. But she has been a positive influence in the Empowerment Groups, too. Kahara describes Jessenia as genuine and outgoing. Claire calls her as kind, thoughtful, and wise. They both see her as a natural leader and role model for her peers—a supportive force for the others girls as they share their stories and their stress. “Anytime you talk to her, she is always smiling and speaking and thinking positively, no matter what,” says Kahara. Jessenia credits this focus on kindness and optimism to her moms, who have instilled it in her since childhood. Describing why she encourages the family to give back and to volunteer with the homeless, Tracy echoes the YWRC’s ‘No Judgement’ policy. Jessenia has certainly absorbed that lesson. At 15, she has already found her purpose in life, another one of the five aspects of well-being. That focus is rare for a high schooler, who also has plans to sustain a high GPA and get into a good college, all while working and participating in cheer. Her ambitions to be a successful student and a good person are not competing, but complimentary, like the girls in the purple T-shirts cheering each other on as they ran. Tracy doesn’t doubt for a second that her daughter will make it to the finish line.